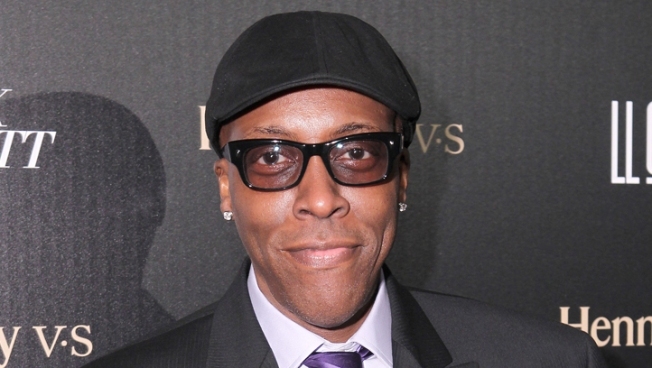 Hall outlasts Aiken to claim the title of "Celebrity Apprentice"
Arsenio Hall was Sunday's big winner. Clay Aiken is reality TV's perpetual also-ran. Nearly a decade after he came in second place on "American Idol," Aiken lost to former late night talk show host Arsenio Hall on Sunday's season finale of "The Celebrity Apprentice." The comedian and "Coming to America" star nabbed $250,000 for his charity of choice, The Magic Johnson Foundation. For Donald Trump, choosing between Hall and Aiken was a "very, very tough decision." "I've never been so torn," Trump said. The first half of the show had Team Clay and Team Arsenio planning a charity event. With Hall going undefeated in apprentice challenges this season, Aiken was going to have his hands full. Between '80s pop child Debbie Gibson and heavy metal icon Dee Snider covering Diana Ross and the Supremes' "Baby Love," the show certainly had a feeling of unpredictability. Things continued that way when Aiken and Hall sang a duet of "Lean on Me" to close out the charity event. The former "American Idol" standout was in his element during the last segment, but the question remained: Did he raise more money than Hall? And would it even matter? Apparently not. While Aiken raised $301,500 to Hall's $167,100, it was the former late-night TV star's knack for politicking that won him Trump's favor. When Trump asked him why he should win, Aiken said his mother was in the crowd and he didn't want to lose in-front of her again. When Trump asked Hall the same question, he told the billionaire he wanted his life back. He wanted a late-night show again. He wanted to rekindle the star he once had. But it wasn't until he was forced to answer comedian and ejected contestant Lisa Lampenelli's question that he secured the title. Lampenelli: Arsenio, am I attractive? Hall: [with a warm smile] Not only are you visually attractive, you are intelligently attractive. That smooth line was enough to prove to Trump that Hall was the better man. Hall also won Trump's favor by wearing his heart on his sleeve. Hall told Trump that he selected the Magic Johnson Foundation as his charity because of his personal connection to HIV/AIDS, a key issue for the MJF. Shortly before Hall signed up for this season of "Celebrity Apprentice," he explained, a cousin of his died of AIDS. "I'll be fighting for the rest of my life in her honor," a visibly emotional Hall said. Sunday's victory just might bring him one big step closer to accomplishing that goal.